Hello everyone, my name is Miryam and I am the dietitian behind the food blog Eat Good 4 Life. I’m so thrilled that Melissa has asked me to do a guest post for her. We have been blogging buddies for quite sometime but never meet until last week. We were able to participate on a blogging trip together in Napa Valley, CA where we were able to drink plenty of wine, eat and chat about food. It was a great experience to say the least. Awesome company. Have you made thumbprint cookies before? I have actually made some in the past but without any success. My thumbprint cookies have turned super dry and crumbly both times I attempted to make them. 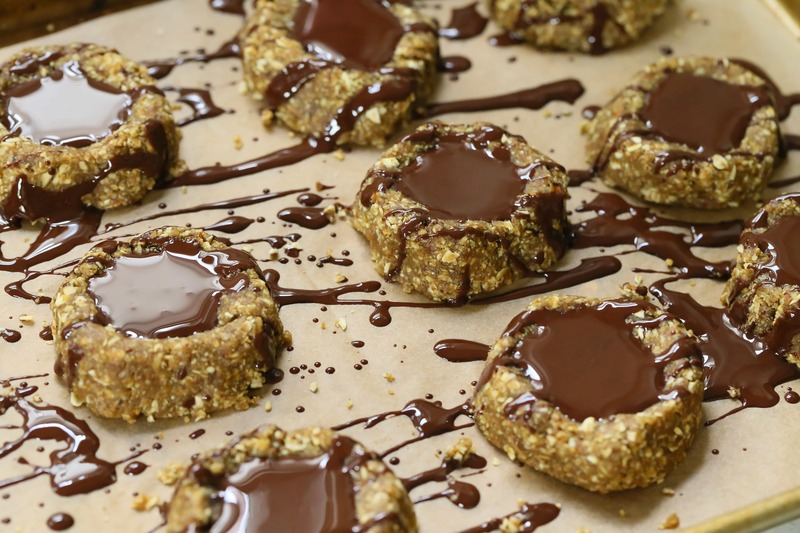 I wanted to keep these almond butter cookies no bake. I wanted to make sure they would turn out okay, and not baking them was definitely the way to go. My family literally devoured these cookies within the first 30 minutes. Mind you the batter doesn’t make that many cookies so if you are thinking of sharing these I would suggest doubling the batch. My neighbor was actually lucky enough to get her hands on one cookie. Lucky her! I love the fact that these cookies are also gluten free. For the filling I used chocolate but the conventional thumbprint cookies use jam or marmalade of some sort. I actually love the combination of almond butter and chocolate so that is what I went for. I hope you like it too! I have also added some Matcha powder to these cookies. Ever since I wrote my cookbook, The Healthy Matcha Cookbook, I have been adding this powerful antioxidant ingredient to many of my savory and sweet recipes. If you haven’t gotten your hands on Matcha powder before and haven’t used it yet I suggest you start. All in all is a great ingredient to incorporate to a already healthy balance diet. If you are not sure of which one to get this one is pretty good. 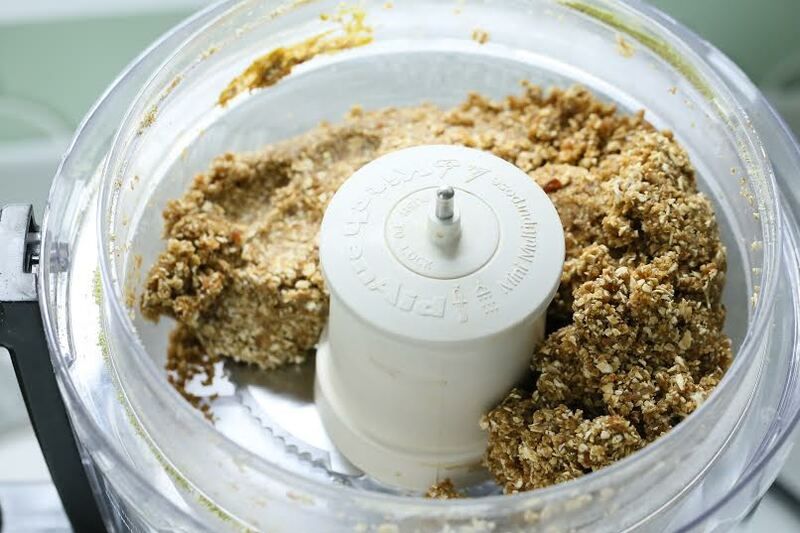 It is great for cooking and baking and so far I have been very happy with it. 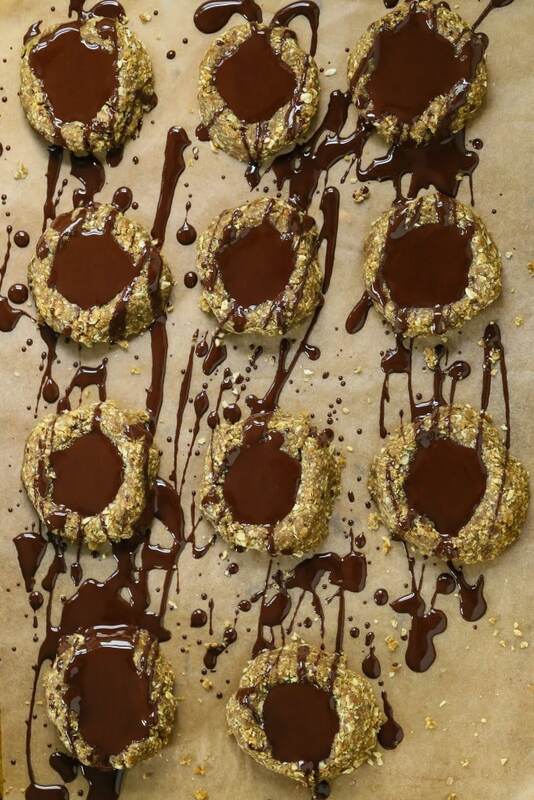 Anyhow, I hope you get to make these almond butter chocolate thumbprint cookies. 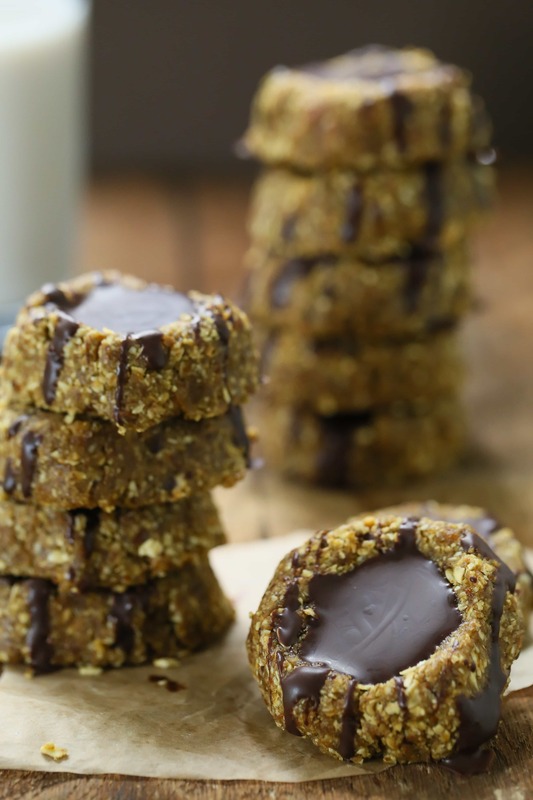 They are super easy to make, are gluten free and super delicious. Your family will love you for them. 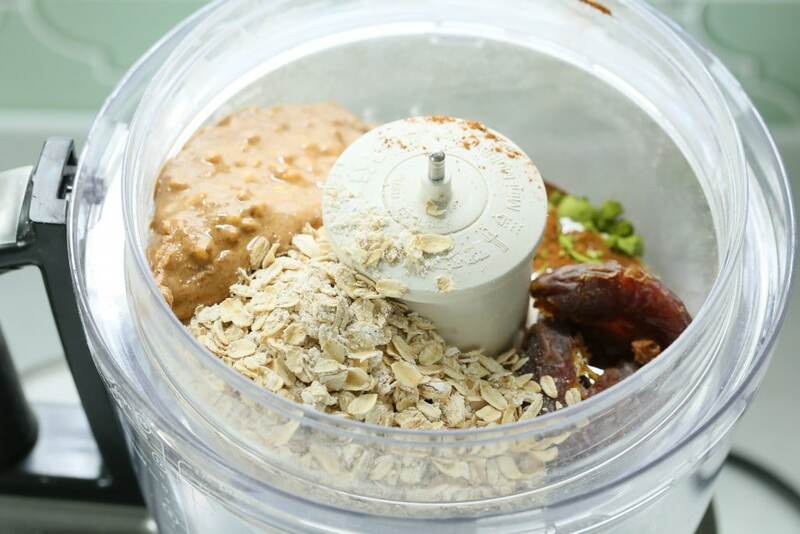 Place all the ingredients, except the filling ingredients, in your food processor until the mixture comes together. Roll dough into 12 balls, transferring them to the prepared lined sheet. Make an indentation in the middle of each cookie by pressing down with your thumb. Melt the chocolate and coconut oil in a safe microwave bowl at 45 second intervals stirring in between. Spoon a teaspoon into each indentation of the cookie and chill for at least 1 hour before serving. I do this step in the freezer which takes just 15 minutes. Check out Miryam’s awesome blog, Eat Good 4 Life. You can also follow her on social media. So glad you liked it! Her blog has great recipes! Thanks so much for featuring Miryam- I'm a new fan of hers and this recipe has reinstated it- Yum! You're welcome! She has great recipes! I love making thumbprint cookies. I used to make them all the time with my mom. Brings back such good memories. I love how food does that! I love the healthy and nourishing ingredients. What a great treat!